It’s not a time for panic, but it is a time to simply be annoyed and disappointed. It’s just another Game 1 in Toronto Raptors playoff history. 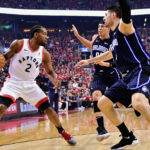 Time and time again, the Raptors put themselves in a position to create separation and pull away, yet each time they were unable to make the necessary shots and a rugged Orlando Magic team refused to let what turned out to be an ugly game slip away. When the pace slows down and the game turns ugly, the advantage sways in the Magic’s favour and today was just another case of the Raptors revisiting their Game 1 nightmares. Kyle Lowry was outplayed by DJ Augustin who scored 25 points, included a game-tying layup in the final minute and a game-winning three pointer with 3.4 seconds remaining. Lowry was unable to even mustard up a single point. As the shots continued to fall flat, Lowry aggressiveness wavered down the stretch. 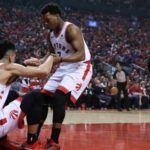 While he was still distributing the ball very well and playing solid defense on Terrence Ross, the Raptors needed Lowry to provide them with any kind of scoring of his own. Lowry still led the team with a plus-11 net rating. 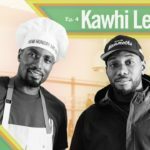 Other than Lowry’s bagel, the Raptors defense was a definite bright spot, while Pascal Siakam and Kawhi Leonard combined for 49 points on 22-of-42 shooting from the field. 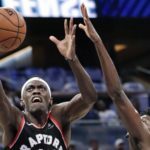 While granted the loss was disheartening for the Raptors, the Magic shot the ball from long range supremely well down the stretch, something they did not do well throughout the regular season. That being said, the Raptors at times were sloppy with the basketball and the three-pointer was just not falling. Since acquiring Marc Gasol, the Raptors have been the best three-point shooting team in the league. Chalk this one up as a Raptors Game 1 horror film? 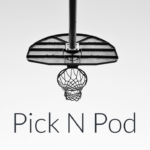 Maybe, but the Raptors still have some work to do in the film room tomorrow morning. It’s no time to panic, but a Game 1 wake up call may be exactly what the Raptors need to get their 2019 postseason run rolling.